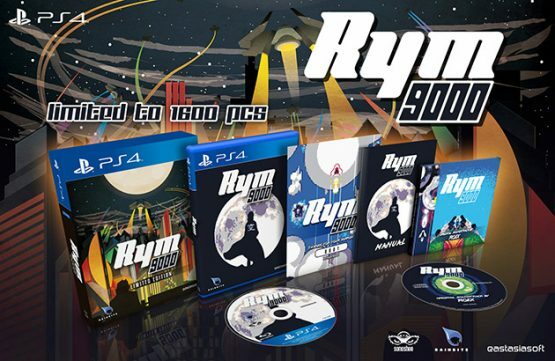 It’s time to surf the abyss and create chaos with the limited edition of Rym 9000, which will be coming to PlayStation 4 in January 2019. 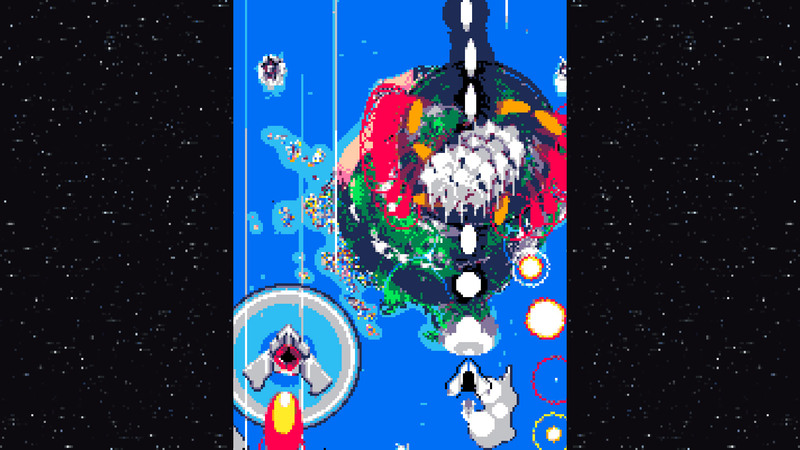 The game is a vertical shoot’em up that has you flying and blasting your way through five different levels in an attempt to retrieve the Rym 9000 relic, an item that possesses the power to break the world, from the Moon. Hyperkinetic motions and experimental visuals from developer Sonoshee deliver a near psychedelic experience, aided by the cyber-stellar soundtrack from Roex. Besides hunting an all-powerful relic, the game will also have you fighting hordes of enemies to reach each level’s boss, before finally coming face to face with the Moon’s guardian “Diesel”. Your score will be registered upon beating the game with a leaderboard that tracks the top ten players in the world. Originally released on Steam in early 2018, the PlayStation 4 version will feature performance updates, the aforementioned leaderboards, and Tate mode support. Fans of Downwell may find something to cherish here, just as long as they don’t mind rushing upwards instead of down. If you’re looking for something a little less visually chaotic, you can also try out Ikaruga, which also received a PlayStation 4 port earlier this year. How does this look to shoot’em up enthusiasts? Let us know in the comments!